An Earthbench is made out of trash and earth. 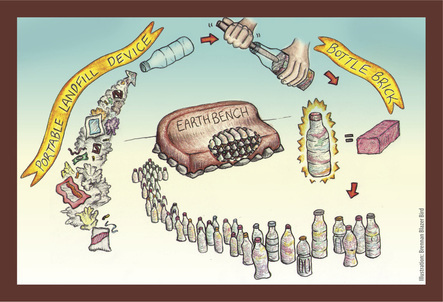 The Trash = Bottle Bricks, or Portable Landfill Devices, are plastic soda bottles stuffed with soft inorganic landfill trash till they become compressed like bricks. 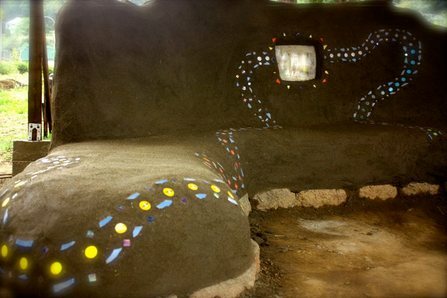 The Earth = cob is a mixture of clay, sand, straw, and water. It is a natural cement that - when protected - will stand the test of time. 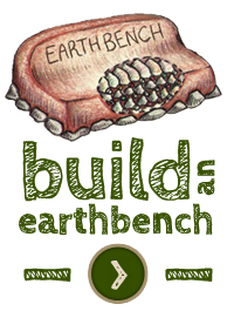 Learn more in our Earthbench 101 How-To's below.